Ever wanted to travel to Europe on your own or with your friends, but don’t know how to plan it? Traveling to Europe can be quite expensive, but if planned correctly, it can be easily done with a small budget. Here are some overall quick tips that can get you started with your Eurotrip planning. 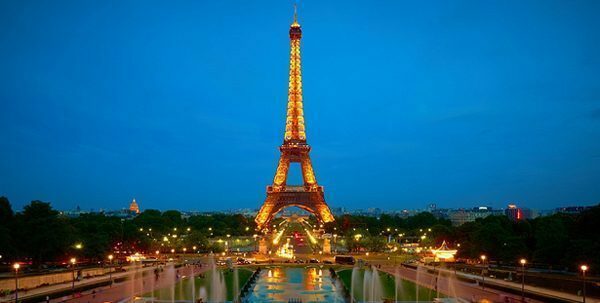 One of the beauties of traveling to Europe is the possibility of traveling to various countries effortlessly. Before going deep into the planning process, you should decide which countries you want to visit and what you wish to see at each one of them. Maybe it’s just one city, or perhaps you want to visit five countries, no matter how extensive, have an idea of your overall interest. When you have an idea, visualize it and all its destinations on a map. This will be crucial to establishing a route and an itinerary. Take also into consideration the seasons of the year and “travel seasons”. Certain activities are more enjoyable during the summer while others are better during winter. Just like any seasonal destination, different seasons give a different feel of Europe. The key to finding a good and cheap airfare is to be flexible. Sites like Kayak.com and SkyScanner.com have a “dates flexible” tool that allow you to see in which dates can you fly with the cheapest airfare. Spend some time testing date combinations that match your desires and needs. Try different arrival and departure points and try alternate airports. If you’re doing an open-jaw trip – arriving through one airport (or country) and departing through another one, try your route front to back and back to front. Changing the direction of travel can have an effect on your airfare. Also, be aware of tourism high seasons, low seasons, and shoulder seasons. They have a great impact on price, but they are also driven by how “desirable” is your destination during that specific time of year. A quick Google search will show you the high and low seasons of your destination. Here are some more tips on finding the cheapest airfare. Or you can also check this guide to travel hack your trip and fly even for free! Moving on your own between different European cities and countries can look scary at first, but in reality it is very easy. There are two major options to choose from when deciding to move around Europe. These are trains and budget airlines. Europe has one of the best train systems in the entire world. Passes like the Eurail Global Pass allow you to connect between 22 European countries at an affordable price. Most Eurail passes work best when the countries you are visiting are adjoining (i.e., Spain to France to Germany). One thing to consider is that even though the train tickets are included in the passes, certain reservation fees are not (i.e., sleeper train couchette reservation fee that goes from $5 to $30). Note: Even though Great Britain is a popular destination in Europe, it is not included in the Eurail Passes. 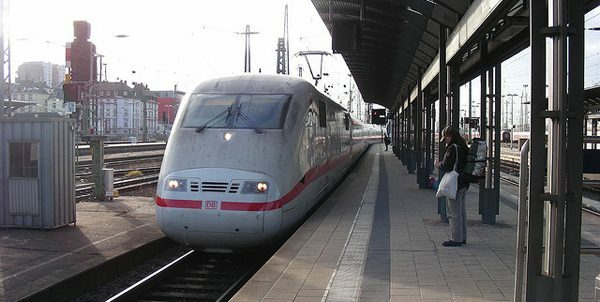 There is also the choice of buying train tickets point-by-point at sites like RailEurope.com. There are occasions when buying tickets separately is cheaper than buying a pass. It all depends on how many trains you plan on taking, the routes, seating/sleeper class. From my experience, I was able to travel between 5 European countries with point-by-point tickets. After comparing the cost of a 5 countries pass ($569) vs. going point-by-point ($270). Have in mind this price was obtained by being flexible with the dates and departure times. Also, three of the trains were sleeper trains, which helped reduce my accommodation costs too. Learn more about European train travel here and by checking seat61. On the other hand, Europe is also full of budget airlines. In many occasions, they are cheaper and faster than trains. You can travel between countries for fares starting at $10 and even less. Sites like SkyScanner.com and Low-Cost Carrier Guide will help you find budget airfares. Then, compare and mix-n-match with trains to get the most efficient transportation methods for your trip. One thing to have in mind is that most budget airlines travel to secondary airports that are often far from the city center. In these cases, also take into account the cost of getting to/from the airport and see if it’s viable. Most, if not all, European countries have an efficient public transportation system. They are usually cheap and carry tourist passes for 24, 48, 72 hours, and more. The best way to plan accordingly your public transportation expenses for each city is to visit wikipedia.org, wikitravel.org, or do a Google search with “[city] metro”, “[city] subway”, or “[city] public transportation”. Through those searches, you will find the respective websites for each public transportation authority. This will allow you to see the available passes and their cost. Also, it will help you know how well connected you are to different places of interest. There are many options to choose from when looking for budget accommodations, but the two most common among backpackers and budget travelers are hostels and couchsurfing. Hostels, in addition to be cheap in comparison to hotels, are great places to meet other like-minded travelers. An excellent social approach if you’re traveling solo. 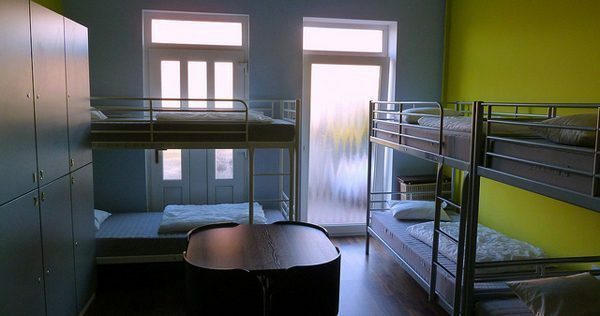 Many hostels provide private rooms as well as mixed shared rooms (male and female) or gender-based shared rooms. Usually, shared rooms are cheaper than privates, and the more beds there are in a shared room, the cheaper it is. Popular sites that facilitate hostel booking are Booking.com, HostelBookers.com and HostelWorld.com, among others. Have in mind, that hostels charge per person, per night. If you are traveling with friends, sometimes it’s cheaper to pay for a hotel room since the rate is based per room – split between everyone. Couchsurfing is a different approach to budget traveling. 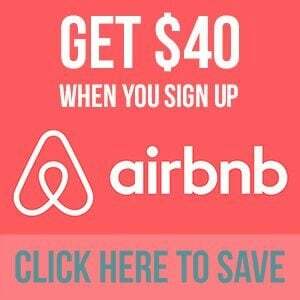 It allows you to stay for free on someone’s couch upon previous agreement. Who in their right mind stays at some strangers couch? Well, people who participate at Couchsurfing see this a community of like-minded travelers that are looking to experience different places with a more “local” perspective. In many occasions, the host takes his/her time to show you around the city and hangs around with you. Is it dangerous? Not really. Well, there can be “safety concerns”, of course, but common sense and previous communication will help you “screen” your prospective host. So far, my experiences have been excellent, and all my hosts have been superb. There’s nothing like having a local approach to a place through the interaction with someone who lives there and welcomes you openly. Here is more information on cheap and free accommodation. You might already know what you want to see at your destination and know the tours you want to take, or maybe you don’t know what to do at certain places. The best way to have an idea of things to do at each destination is to do a Google search of “things to do in [city]” and to check TripAdvisor.com. Trip Advisor shows you the most popular things to do according to votes and recommendations by other travelers. After narrowing down your interests, go to each tour website to have an idea of which days they run, prices, requirements, what’s included, etc. Many cities have “sightseeing passes” and in some cases they are combined with the public transportation pass. These will either give you a discount on many attractions or have them included in their entirety. I have found it safe to budget $25 per day for food. Maybe $30 per day will be more comfortable, depending on your eating habits. Take advantage of “lunch specials” and have your heaviest meal during at that time, when the meal is usually cheaper than at dinnertime. 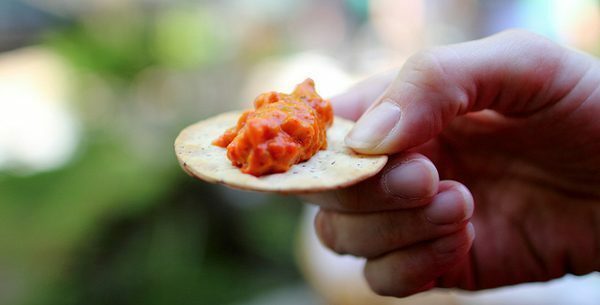 If you are couchsurfing or if your hostel has a kitchen, buy some groceries and make your dinners and prepare you own snacks. This will help you save a lot of money on food since you won’t have to dine out every night. Even though it’s not required, it is highly recommended to have travel insurance that will cover you in case anything happens during your trip. Companies like WorldNomads give great quotes according to your length of travel, and destination, among other parameters. Also, very important, before leaving your country of residence, call your bank and let them know you will be traveling and to where. Doing this will reduce the chances of getting your bank account blocked due to “suspicious charges”. You don’t want to find yourself without money while on the road and to have to call your bank to prove your identity to fix this issue. All these tips are just the tip-of-the-ice on travel planning, but they are enough to give you an idea of what to do to successfully plan you budget European trip. Be creative, always be flexible, and have fun! Being Brits, we’ve had Europe on our door-step so it’s interesting to read about all the planning non-Europeans need to think about. When we lived in the UK we would go away to a European city just for long, cheap weekends and not think anything of it. Glad you mentioned Seat 61. We’ve used that site a lot in the past. VERY useful. Most of the time I eat cheap food too, and so far, most of the time they have been really good. Seat 61 was a godsend for me when I was planning my trip to Europe and even to Thailand. I think that’s the must-go site when planning train travel. Agree with the comment above – also in many southern European countries especially, the best food is cheap food and street food. Great tips! Wish I would have read this before my first trip to Europe several years ago. Excellent tips Norbert. We just planned a trip to Prague and made sure our visit falls just days before high season begins. The difference in cost can be astounding. Trains are really my favorite way to get around, even long distances in Europe. Check out bahn.de which is the German train site. You can switch it to English and still get a lot of info for the rest of Europe, not just Germany. Seat61 does indeed rock, I used it to figure out how to get to Croatia and how to get back from Greece on the ground. Andrew, so glad you mentioned Bahn. I’ve used Bahn for some of my train tickets too. In many occasions they are even cheaper than Rail Europe and what’s even best is that you can print your tickets from a .pdf instead of waiting for them through snail mail. I am going to spend 2 months in Europe during my RTW trip & I don’t want it to break my bank. Thanks for this post, I really needed it. I will keep these tips in mind. You’re welcome Jaime! My best tip for you will be to have fun couchsurfing and hosteling. You will love it!! Great tips here! I have been so turned off to Europe for so long because I never thought I could afford it. I think, for me, I would just have to take it really slow. Living in a place and finding side jobs has always worked for me and that’s how I’ll do Europe as well. I think also there’s a good WWoofing community throughout some of the countries too. I know I had some friends wwoof through France, Spain and Italy. So, something else to keep in mind! Very useful post! I find using public transportation and a willingness to eat street food has saved me loads of money while traveling. Great tips. Your one about eating a bigger lunch is especially true, lunch meals are much cheaper than dinner. And it’s amazing how much difference the time of year you fly makes. Flying between Calgary and Frankfurt, I’ve paid up to $800 more for my ticket depending on the time of year. 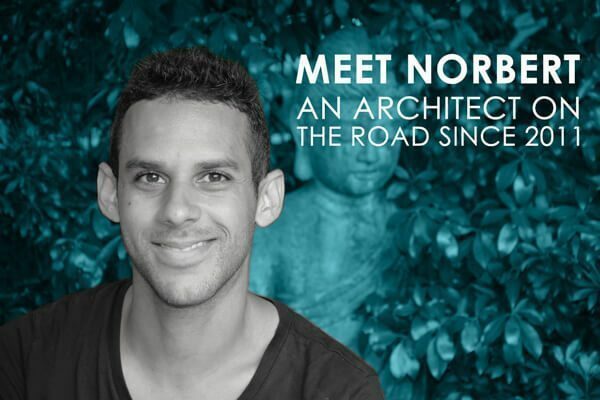 Great tips, Norbert! It’s true, Europe can be very expensive compared to most other parts of the world, but it can be done affordably. To me, the biggest thing to do is to balance your itinerary with expensive places (like the UK, France, and Italy) with less expensive places (like the Balkans or Turkey.) Plus, I know that I’ve had amazing trips off-peak season. After reading this post I really want to go back to Europe right now! So true Michael. Balancing expensive places with less expensive places in your itinerary is a good way to experience more of Europe (or any continent) while keeping costs down. Great write up, who doesn’t want to travel in budget in Europe? I cant tell you how many times I have used some of the tips on this post to actually save big bucks on flights! Super informative post on traveling in Europe. That is one place I have always wanted to go and have never made it yet. I will definately use this article as a reference point when I do finally get to get out there. Great tips! Take some time to do some research or talk to a rep at the information center of most main rail stations there are often great regional deals when travelling by train. I was able a few years back to take flights to 5 destinations for under 130€ in total by being flexible with dates and times. A note of caution there are hidden costs with busses or trains from the out of the way airports these budget airlines service. I hear people rave about couchsurfing, I´m booking a hotel, but getting a good deal. I´d rather sleep comfortably than save a few bucks. Some cities have audio ipod tours available free of charge, definitely take advantage of that. I read two lines and found something of use to me, thank you! The flexible option at Skyscanner fits my vacation plans perfectly. Thanks, Annie! You’re right about the hop on hop off. Some of them might actually be worth to get to sights that might be out of the way with regular public transportation. That’s a great tip! Yes, just those two save a bunch of money! These tips really nailed it. There are lot of traveling tips that I read and somehow it is additional to them. Before planning any travel in the near future, you need to think on what to do first and think on the rest. Thanks for this Norbert. I learned a lot.